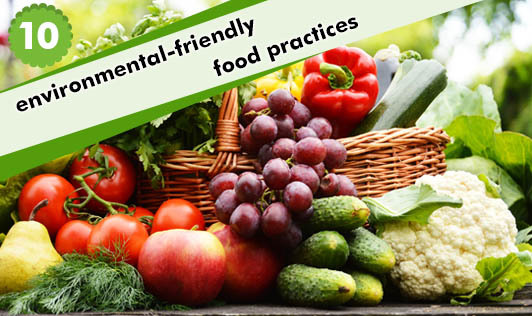 Are your food practices taking a toll on the environment in addition to harming you? If yes, then read on to know how you can work on this so as to make the world a better place to live in. Do Not Overcook: It is not advisable to over steam vegetables or grains. This not only takes away the nutrients off your plate but also costs you huge on utility. Save energy by cooking for the required amount of time and save on gas and electricity. Try Cooking One or Two Meals a Week: Try this to make sure that you do not waste much time as well as energy on preparing foods daily. Cut down to one or two dishes per week and store in the refrigerator for using them alternately. Reuse Leftovers: A variety of recipes dedicated to revamping the leftovers are available now. This is certainly a wise way of controlling food wastage. Cut Down On Baking Time: Your cookies will not lose their taste if the oven is switched off a few seconds earlier. Use baking methods wisely for better utilization of resources. Try using glass, porcelain, or steel cutlery instead of disposable utensils especially during get-togethers. Let your guests serve themselves. There will be less wastage of food this way. Practice portion control. Know every family member’s portion size and cook the required amount of food. This will prevent wastage and leave more space in the refrigerator too. Opt for local, organic produce. Buy seasonal vegetables and fruits. Carry your own reusable bags for grocery shopping. The World Environment Week falls in the first week of June. Adopt healthy and wise food habits that will help the environment!